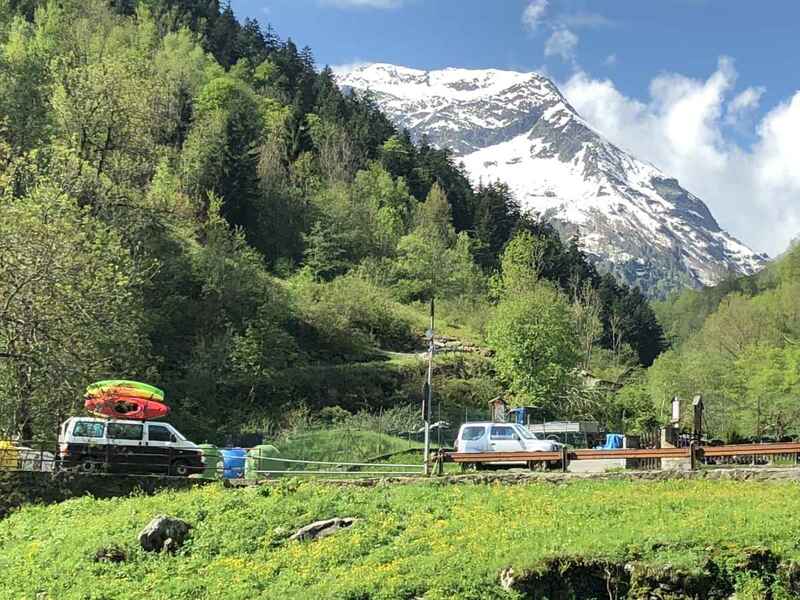 The Val-sesia is renowned for its cristaline water, steep creeking and waterfalls…living in Campertogno will also makes you discover the cultural heritage of this valley. We will enjoy the multitudes of river around Campertogno to practice and develop progressively our kayaking skills. The Sesia, the main river, offers various sections from grade 3 to 5+ and can be with plenty of water a big river, that means good waves! All the tributaries around are famous for their gradient and their accesible drops.